A brand new way to buy a brand new home - With this new Government backed Help to Buy scheme you can move on up and move on in to a new Redrow home with as little as a 5% deposit plus a 20% interest free equity loan. On all homes up to £600,000. We have Six stunning show homes which are all viewable! These are the Leamington, Worcester, Henley, Marlborough, Oxford Lifestyle and Shrewsbury! Quality doesn’t have to be complicated. Sometimes, the simplest things have an undeniable elegance and charm, as you’ll discover in the beautifully laid out Ludlow. Simple lines make the most of the space, while inspired designs let the life and light flow freely through the heart of the home. The Ludlow enjoys a luxury rarely seen in other 3 bedroom homes. A stylish en-suite to the master bedroom ensures all family members have ample space during those busy morning periods. Additional spaces such as the laundry room and downstairs cloakroom also help to streamline life for today’s modern family. With traditional features and craftsmanship to the outside of the property, and the pinnacle of modern living to be found inside, The Ludlow is a home for you to truly fall in love with! Once the capital of the ancient kingdom of Mercia, today Tamworth is a thriving Midlands town with excellent connections right across the region. Situated to the east of Tamworth, yet is just three miles from the centre of town with its excellent shopping and leisure opportunities. Within easy reach of the A5, M42 and M6 Toll, Amington Garden Village is sure to be a sought after development, so register your interest today to make sure you’re the first to know the news and get the pick of the plots. Remember, with Help to Buy, you only need 5% deposit to reserve one of these popular homes near Tamworth. With the new Government backed Help to Buy scheme you can move on up and move on in to a Redrow home with as little as a 5% deposit. 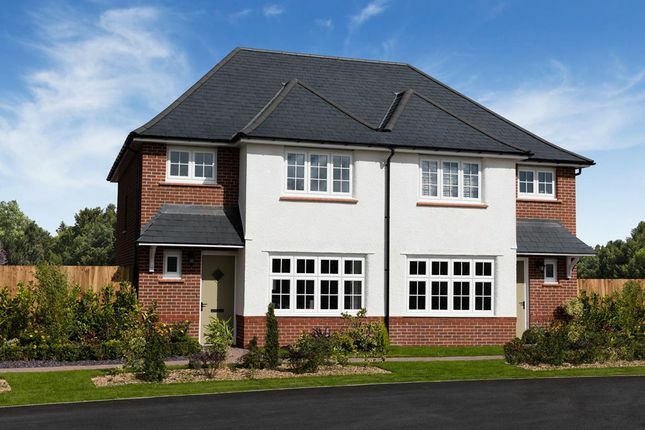 The new Help to Buy scheme is available to anyone looking to buy a new Redrow home in England. In the town itself you’ll find a ten-screen Odeon cinema in the middle of the Egg roundabout, plus a wide range of shows at the Assembly Rooms. For sports, try Rawlett Leisure Centre. Trip Advisor lists no less than 125 recommended eateries in Tamworth, with most collected around the town centre. Da Quinto Ristorante, Corey’s Sports bar, Blue Water Indian and Christophers at The Peel Aldergate top the list for impressing their customers. Closer to home, try the family friendly Amington Flaming Grill, or the Gate Inn. For doctors, register with Amington Surgery on Tamworth Road, while for dentists try Stoneydelph Dental Surgery on Ellerbeck. Amington Heath Primary, Florendine Primary and Landau Forte Academy Greenacres offer alternatives for younger children, while older pupils can also choose Belgrave High, Wilnecote High or Landau Forte Academy Amington all within easy reach. There are also many popular universities just a short distance away, including Birmingham and Aston, for students who want to save costs by staying at home. Property descriptions and related information displayed on this page, with the exclusion of Running Costs data, are marketing materials provided by Redrow - Amington Green, and do not constitute property particulars. Please contact Redrow - Amington Green for full details and further information. The Running Costs data displayed on this page are provided by PrimeLocation to give an indication of potential running costs based on various data sources. PrimeLocation does not warrant or accept any responsibility for the accuracy or completeness of the property descriptions, related information or Running Costs data provided here.